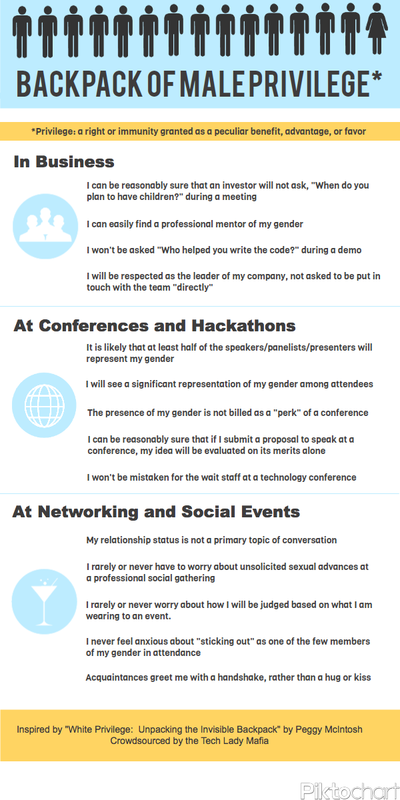 Recently, several articles, tweets, and websites reignited the issue of diversity in technology, specifically in conference settings. Rebecca J. Rosen, senior associate editor at The Atlantic, published “A Simple Suggestion to Phase Out All-Male Panels at Tech Conferences.” Rosen borrows an idea from the non-profit organization Advancing Women Professionals and the Jewish Community: men should simply decline to sit on all-male panels. 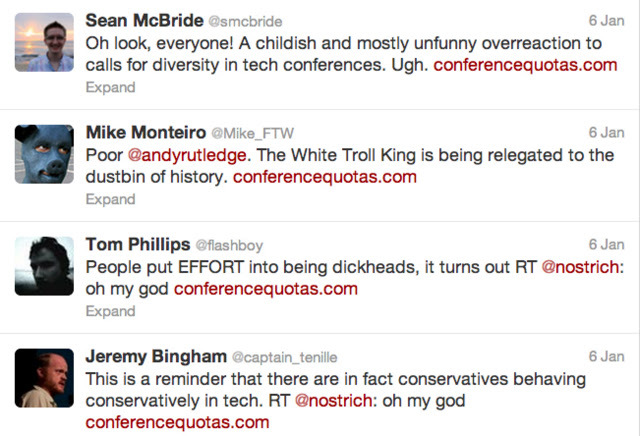 The column was spurred by the announcement of the overwhelming male majority of panelists for the Edge conference. Jamelle Bouie posted a spot-on response, “Diversity? That’s for Racists.” For further reading, Baltimore writer Rodney Foxworth had published an outstanding essay on conference diversity and inclusiveness just a few weeks prior. As if women and racial minorities are now pitted against each other, vying for the enviable “token” status. As if gender diversity and racial diversity are mutually exclusive issues. As if we’re only capable of addressing one minority group at a time, and it must be the least-represented. And there’s that word again: privileged. The word is frequently misused and is now commonly interpreted to mean “born with a silver spoon in your mouth” or “never had to work for anything,” but that’s a distortion of the actual definition. Privilege is more about advantage and immunity than wealth or work ethic. Editor’s note: For complete coverage of women in technology please visit Techs and the City.